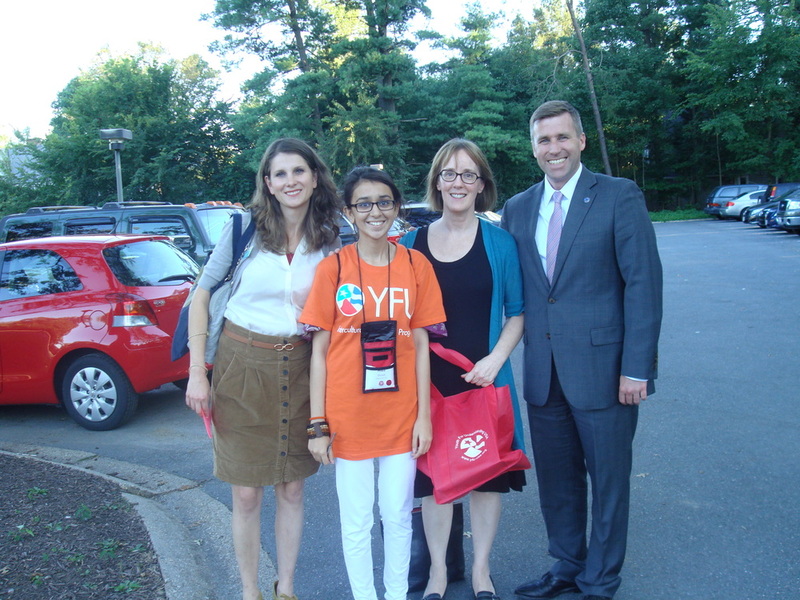 Guest post from 2014-2015 YES Scholarship Recipient, HibaHow do you know what is a goal if you have never accomplished one? How do you know what anguish is if you have never said goodbye to your family and friends with eyes full of tears? How do you know what diversity is when you have never lived under the same roof with people from a different country and culture? How do you know what imagination is if you have never thought of the moment when you will go back home? I have experienced a roller coaster ride of emotions during the past few months. 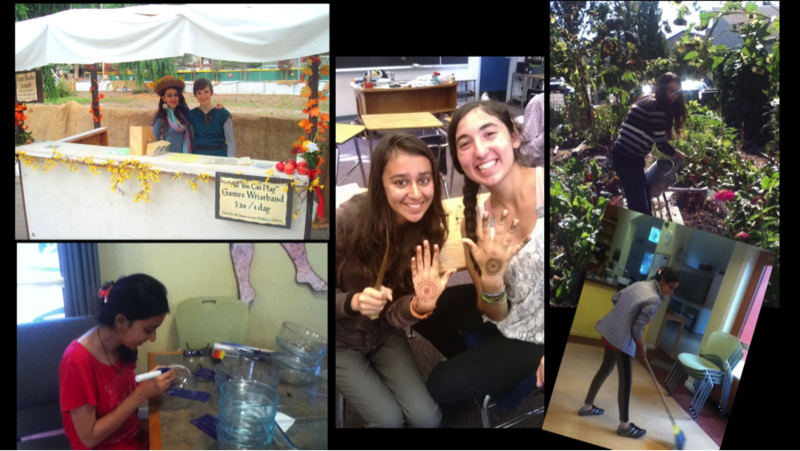 I am an eleventh grade exchange student from Karachi, Pakistan now living with a family at Frog Song in Cotati and studying at Credo High School. It is incredible to believe that I was selected as one of 108 students out of over 3,000 applicants for the Kennedy Lugar Youth Exchange and Study Program. This program provides scholarships for high school students from countries with significant Muslim populations to spend up to one academic year in the U.S. Students live with host families, attend high school, engage in activities to learn about American society and values, acquire leadership skills, and help educate Americans about our countries and cultures. Sept. 29, 2014 marked the start of my exchange year in the United States. Leaving a city of 23.5 million people in Pakistan, I arrived in Cotati, a city of 7,000 people. Karachi is known as the “City of Lights,” a place that never sleeps. Of course, what can you expect from a place having more than 20 million people? The day I learned I would be placed in California, three things popped into mind: beaches, celebrities and fancy skyscrapers. I thought of meeting Angelina Jolie – that was the impression I had of California. Then I arrived in Cotati, a small city surrounded by big green fields, farms and a hilly landscape, which gave me a whole new perspective of California. In fact, I am finding it a very different and peaceful way of living here. Cotati has allowed me to ponder nature and its beauty; I rarely had witnessed this kind of nature in Karachi, where all I saw were big cars, tall buildings, settlements and a busy life. I realized that America is a diverse land, not what it is typically shown in the movies. I understand now that things cannot be generalized or stereotyped. I am overwhelmed with the love and care I have received since my arrival. Being hosted by a supportive family is an integral part of any exchange year, and I am thankful for being matched with a family so kind and caring. A recent day with them in San Francisco, where I could see the ethnic diversity and bubbling colors, was lovely. During my exchange, I am attending Credo High School. The expectation of the first day of my American high school used to intimidate me; I imagined attending a large school with 2,000 students. However, after learning how young Credo is, I knew that something different was waiting for me and that my exchange year would not be like that of other exchange friends. Honestly speaking, Credo is the best thing that has happened to me. Many students were waiting to welcome an exchange student from Pakistan. The Waldorf education system is new to me, and I like the fact that I get to study a variety of subjects that are not taught in my home school, like Astronomy or my current course in Transcendentalism. People ask what is the biggest cultural difference for me. One thing that immediately comes into my mind is “the culture of biking.” You rarely see people biking in Karachi. With the availability of different means of public transportation, we don’t bother to bike. For example, motor rickshaws, a motorbike with double seats attached at the back, can ride you from one stop to another for 25-cents. This is why biking 15 minutes to and from Credo High was a cultural shock. However, I am getting used to biking, and I like it. It is helping to keep me active, and I like the independence to go anywhere I wish. Another difference is the weather. Karachi, which is near the Arabian Sea, rarely has extreme temperatures due to the oceanic influence. In general, the climate of Karachi is steadily hot. Figuring out the right clothing in Cotati is always a challenge: Should I put on my jacket because it’s too cold to bike in the morning? Or should I leave my jacket at home because the weather is going to be hot during the day and I don’t want to carry it around? I question myself every time I leave my house. The day I felt really accomplished was the day when the Credo High Debate Club officially started. I have always been interested in knowing about world issues, participating in Model United Nations and researching; these activities make me more confident, knowledgeable and practical. This is the reason why I thought of initiating a Debate Club at Credo. Everyone supported this idea, and now Credo has a very lively Debate Club and will hopefully some day have a debate team too. Lately, I have been making henna tattoos. These are so common in Pakistan that people don’t even notice what pretty designs you have; in America, a simple henna flower is something that people love. This is why I am doing a lot of henna for my friends. It’s difficult for me to figure out what design I should make on a boy’s hand because in Pakistan, henna and boys are like the two ends of a rope. I really need to figure out some masculine henna designs! Making Pakistani food for my friends and family, giving presentations, doing a Pakistani dance in my community’s talent show and teaching traditional moves and styles have enabled me to play a good role as a cultural youth ambassador. However, there is a lot more to come. With eight more months to spend in the U.S., I hope to have a great time ahead, filled to the brim with color, joy and laughter. These light-hearted times are not going to come back, and this year of my life will perhaps be the most cherished journey. I thank everyone from my host family, the town of Cotati and Credo High School who have made this journey possible. Story originally shared in The Community Voice.